Good morning! How was your weekend? Mine was one of the best I have had in a long time which sounds odd because we didn’t even do anything extravagant. Sometimes restful weekends are the best weekends! Here is what I was up to. FRIDAY | After work Kevin and I went to a party at Frontier to celebrate the recent engagement of one of Kevin’s cousins. A lot of Kevin’s family who we haven’t seen in a while were there so it was nice catching up with everyone. 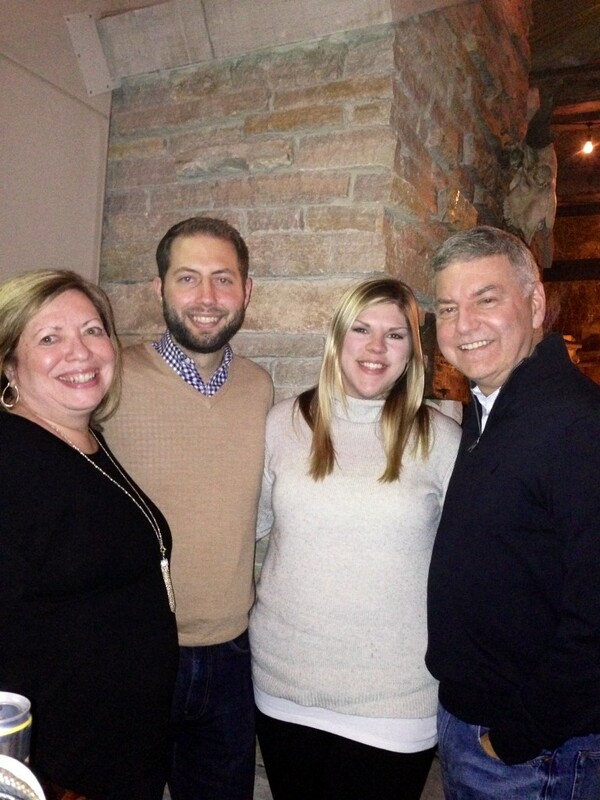 Ryan and Danielle are getting married next spring in Florida so that should be a fun trip! SATURDAY | Kevin has been fighting a cold all week so he slept in a little while I took advantage of some alone time and watched a Christmas movie while sipping on some coffee. Hallmark Channel has been showing non-stop Christmas movies and some of them are pretty good! After everyone was up and ready for the day we headed out to the burbs for a day of running errands. We hit up the mall to make some returns/exchanges, Costco, and Target. It was a busy day but a good one because Kevin and I spent the entire day together which I feel like hasn’t happened in a long time. We stopped for lunch at one of our favorite restaurants, Labriola Cafe. 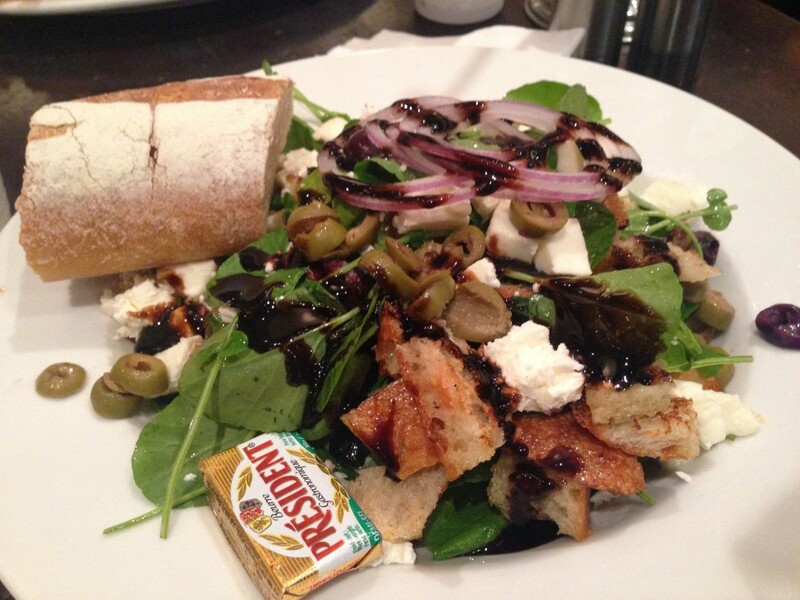 I ordered the grilled bread salad which was fantastic! We made another stop at Weather Tech to pick up some heavy duty floor mats for the car so we are ready for winter. We planned on stopping by Starbucks for BOGO drinks, but much to our surprise the place we were getting our car mats had a complimentary coffee bar which was so awesome! I got a pumpkin chai which was pretty good. 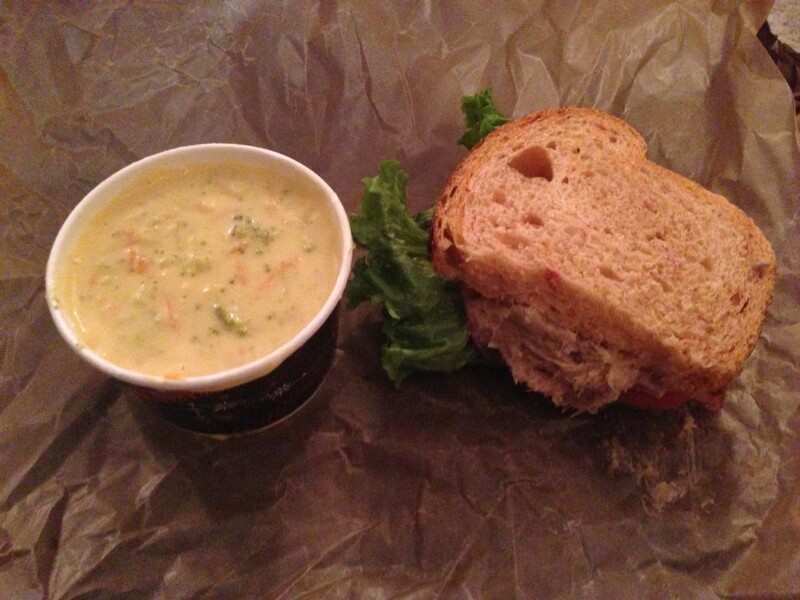 After being out all day we were pretty tired so we picked up Panera for dinner and headed home to catch up on the DVR. SUNDAY | Our friends, Brian and Katie, were in town from Cincinnati visiting family so we met them for breakfast at Ann Sather. 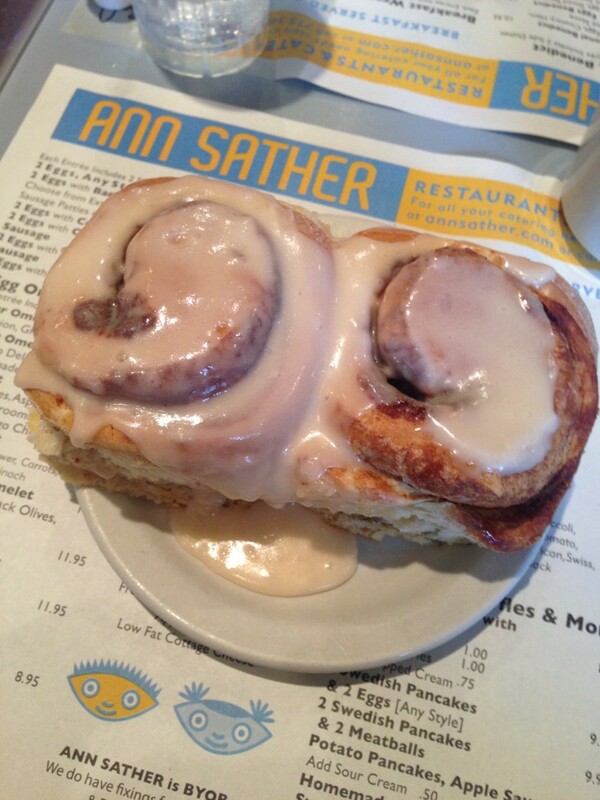 Ann Sather is famous in Chicago for their cinnamon rolls so naturally I had to order some. Oh and the cinnamon rolls are just a SIDE to your meal. With each entree you get the choice of two sides and these two giant cinnamon rolls are just one side option. Insane! I ate a few bites of one and wrapped them both up to go. After breakfast we stopped in a cute little gift boutique and I picked up a few new Christmas ornaments. We then said goodbye to Brian and Katie and headed home for the rest of the day. We watched the Bears game (they won!) and then I pretty much spent the rest of the day watching more Christmas movies while snacking on this delicious popcorn I snagged at Costco. 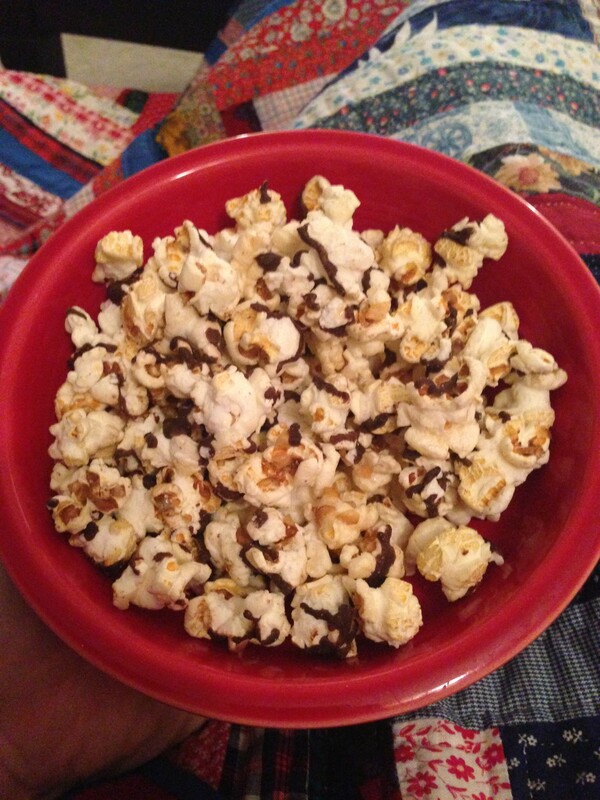 If you haven’t tried Angie’s Dark Chocolate Sea Salt Kettle Corn you must go get some now! 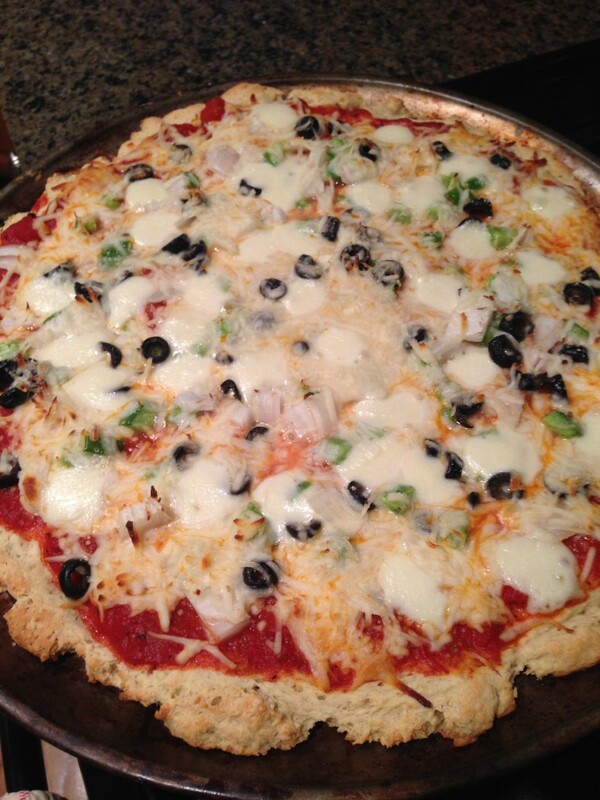 For dinner that night I attempted to make my first gluten free pizza crust using Bob’s Red Mill Pizza Crust Mix and it actually turned out pretty well! Very filling though, we barely even ate half of the pizza between the two of us. That was our weekend in a nutshell! How was your weekend? Were you able to relax? 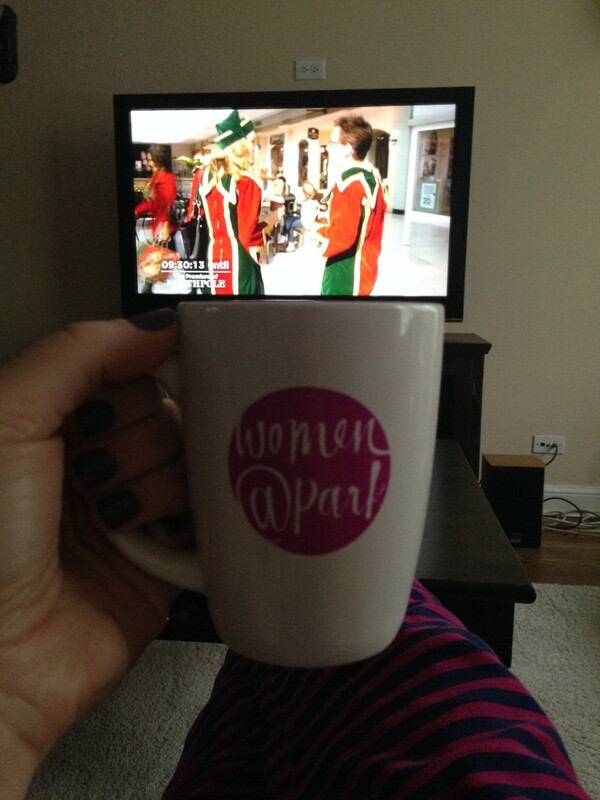 I love pumpkin chai…also Hallmark and Lifetime Christmas movies lol. Thanks, Angie! The pumpkin chai was so good! I wonder if Starbucks can make one? And I am addicted to these Christmas movies!! Agreed! I don’t go very often for that very same reason – you can’t say no to the cinnamon rolls!! I’ve been watching Hallmark Christmas movies non-stop..aka I’m watching one right now! #addicted. 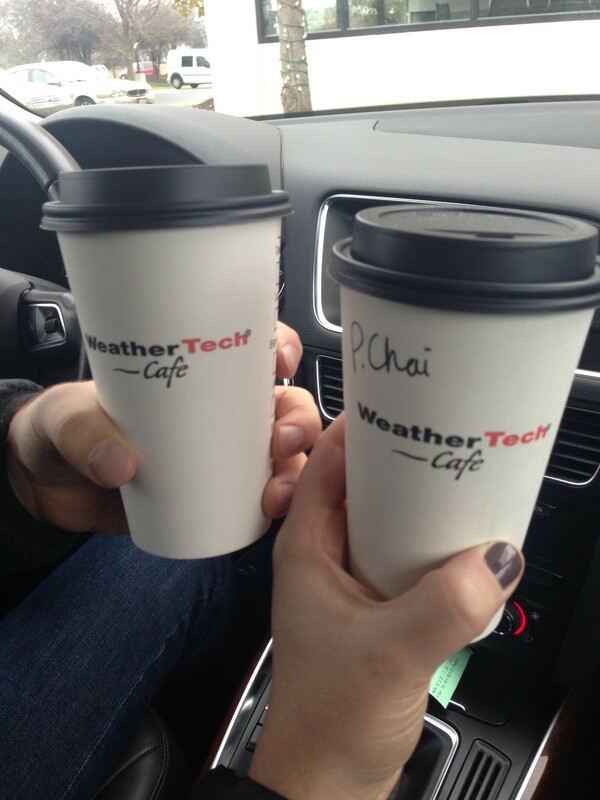 Yay weathertech!! hope you like the mats!! that coffee is pretty awesome! The mats are great! And the service there was fantastic! We couldn’t believe they had a free coffee bar! I got that same popcorn this weekend at costco and am about to go break into it. I loved the candy corn so I am so excited to try this flavor! Oh man you are going to love it! I have to ration myself otherwise the bag would be gone so fast lol. I’ll have to try the candy corn flavor next year! All the food you posted looks absolutely amazing! Looks like a good weekend based on food alone. So happy you’re watching Christmas movies too! People have been telling me it’s too early but I say it’s never too early for Christmas movies! It was so fantastic to see you guys! Can’t wait to get back together in December!